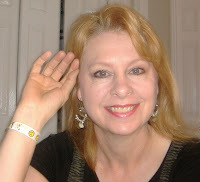 by Shirley Bahlmann - I have been SO GOOD since the doctor told me to eat a low-cholesterol diet in August. No eggnog, no ice cream, no sour cream, no eggs... until my son was in the market for dragon eggs. "I need to blow out some egg shells to make dragon eggs," he said. "Will you eat them if I do?" Well, how could I stand in the way of progress? So I ate two eggs. 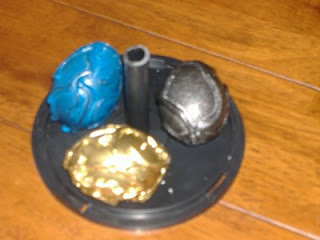 And here's a blurry picture of the resulting dragon eggs. I don't get points for sticking absolutely to my diet, or taking clear pictures, but may I please have a couple of points for fostering creativity? I didn't know I was a legend until last Tuesday when I sat in front of Snow College Professor Bruce Peterson at my son's school Christmas program. Between songs, Peterson leaned forward and tapped me on the shoulder. I looked up from my book (which I read between songs) to see him smiling down at me. "Do you know what I remember about you?" he asked. Now that was a loaded question if I ever heard one! So many possibilities ran through my brain that I was dizzy when I answered, "No. What?" I wondered if there were any other seats I could move to in the jam-packed gymnasium once he revealed some terrible deed of my past. "You were reading a paperback book in a college class. When the teacher called on you to answer a question, you looked up, answered it, and went right back to reading." "Oh," I said, not specifically remembering the incident. "The teacher stood there with his mouth open," Peterson laughed. "I was amazed. The whole class was. I didn't even know the answer, and I'd been listening. So now, every year I tell my students about you, and say that they can do whatever they want as long as they're getting the information. If they can answer the questions, then they can read or draw or listen to music or whatever. But if they can't, then they have to do it my way." "You tell all your classes about me?" I asked, my eyebrows disappearing into my hairline. "Yeah. I just thought that was so great when you did that. You taught me that everyone learns differently." "Cool," I said. "Thanks for telling me." Then I turned around, my eyes falling on the sweet adventure of the written word. It's really kind of exciting that you never know when you'll do something that impacts someone else. I just happened to find out because I was just being my weird self, reading books in my spare time everywhere I go. Sometimes I'll sing a bit of song in the grocery store. Sometimes I do high kicks when I'm walking down the street. I don't know why. But if you ever see an urban setting and people on the street break out into a series of random high kicks, then you'll know that Shirley has achieved legend status once again. Giant Red Gumball of Death! 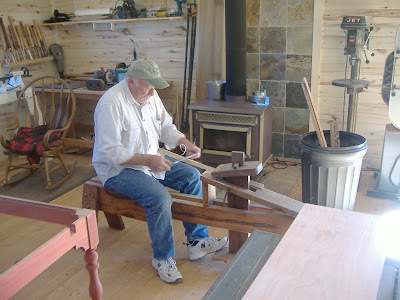 It was evening, and I was puttering around the house, clearing away a little clutter here and there. I even cleaned out my purse, and that's where I found the giant red gumball of death. I'm sure that my nine-year-old did not know it's true nature when he stashed it in my purse weeks ago. Neither did I when, in a mindless sort of way, I put it in my mouth and tried to chew. It was as hard as a jawbreaker. Ah, a challenge! I was up for it. I persisted, and finally broke through the outer shell to the tough sugary center that had the consistency of a super ball. I was surprised by some little bits of candy that fell out of the middle, and a blob of sugary moisture slid down the wrong tube in my throat. Let me tell you, air does not travel well through sugar. My breath came in increasingly small amounts until I wasn't getting any air at all. My almost 18-year-old, Zackary, was passing through the room just then, and I grabbed his sleeve. He turned around, took one look at my fish face with my mouth going open and closed, open and closed, then dashed behind me, placed both fists under my ribs, and gave me several sharp squeezes of the Heimlich maneuver. The blasts of air seemed to loosen the sugar blob, and my breathing gradually got easier. "Yeah. Thanks," I said, then spit the gum out. It wasn't worth my life. So, don't despair of your teenagers. Keep feeding them, because you never know - one day they may save your life! Joining the troops for a shopping attack. I started out happy, it was a fine day. I had a long list, I was ready to pay. But others were out with their shopping lists, too. It was hard to find parking, the place was a zoo. But for vegetables there was just one shriveled yam. With crackers and cheese to get the family fed. My feet started hurting. I wanted to cry. The crowds were horrific, the tug of wars nasty. They sweaters they fought over stretched out like taffy. Or cheap knock off copies shipped in from Hoboken. The clerks were all surly, the sizes all wrong. The holiday music was sung from Hong Kong. I finally gave up and dragged myself home. I sat in a chair, tired clear to the bone. I started to count all the things that I had. If they weren’t all equal, someone might feel bad. Well, Bradley had more things than dear little Sally. I was short for my mother. I re-checked the talley. I was all out of money, my credit was low. I heaved myself upward, I wasn’t yet free. I stumbled outside past the Nativity. Inside a manger, the crudest of beds. It was His birthday, yet where was my head? The food I’d be feeding, the fussing and fretting. Were just three in number on that Christmas Eve. Three gifts for the Christ child, that’s all that he got. His Christmas was simple, mine certainly was not. I turned right around and marched back in my house. I picked out three gifts for my children and spouse. Three for my mother, three for my cousin. Three was the number, not 3 or 4 dozen. I’d tasted since the Christmas party. My fatigue was gone, my laughter was hearty. To simplify Christmas was the best thing thought of. To simplify Christmas was to emphasize love. One thing I've always admired about Heather, or H.B. as her writing fans call her, is that she's so polished and professional. We had a good crowd of about 30 attendees listening to her talk about her writing career and asking her questions about story ideas and her future projects. Several people told me afterward how much they enjoyed her visit! Thanks to Heather and her mother, husband, and cute children for making the trip to Ephraim, Utah! WOO-HOO! They let me back in! The Blogspot Police have unlocked my blog and let me back in! Some one... some thing... probably a little spy-bot doohickey... accused me of writing pam with an "S" on my blog, you know, the processed lunch meat in a can (I don't dare spell it in case they shut me down again.) I asked for a reprieve: come and read it! I'm clean! Shampoo and toothpaste clean! It took this long for them to say, "Okay, you don't stink, write on." It was a year and a half ago when I got the urge to contribute to the local city park so that my family's names could be sandblasted in bricks for ever and ever or until a meteor strike, whichever comes first. I know I won't get any blessings in heaven for having my name on my contribution. My Heavenly home may be a few bricks short. 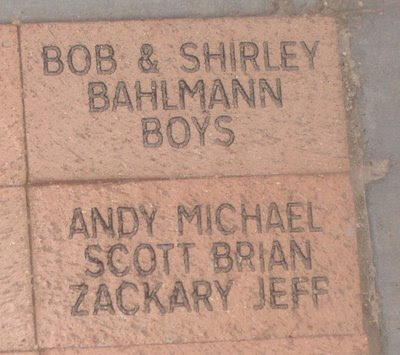 It took a looooong time for us to be firmly entrenched underfoot in the new park's sidewalk, but now I'm proud to announce that the Bahlmann's are officially a bunch of blockheads. It was with great anticipation that I hurried to get ready for our author visit last Tuesday. I flung my "Eeyore University" t-shirt on the bed and pulled on a classic black t-shirt and festive red cotton vest. 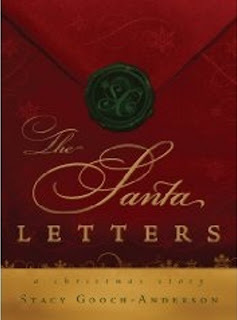 I thought Christmas colors would be appropriate for greeting the author of "The Santa Letters." 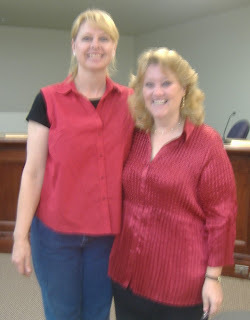 It was delightful to have Stacy speak to my writing group first, and then to the community who gathered in the conference room. (I didn't get to hear that one, since I was rescuing my son from his locked car at work twelve miles away.) Stacy sold 35 books to grateful attendees, and handed out door prizes she brought with special messages on each one, putting us all in the Christmas spirit even though it was before Halloween! Lastly, she and her husband, Brad, insisted on helping me carry things to my car, even though it was 9:00 p.m. before they left for home. Ho, ho, ho. They live what's in Stacy's book. And I was privileged to meet them both. SURPRISE PACKAGES - who waves a swim wrap at Clark Gable? 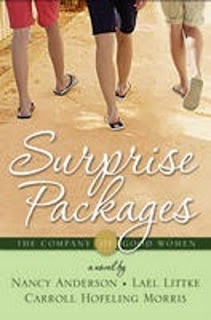 “Surprise Packages,” by authors Carroll Morris, Lael Littke, and Nancy Anderson is an epic volume covering years, like “Gone With the Wind.” It follows the lives of three women (hm… three protagonists… three authors… yeah, that works) who’ve been friends for, I don’t know, ever? Or maybe just from the time they met at Education Week in 1980. These ladies are tight, I mean old-fashioned rubber girdle tight, turning to each other for help in dealing with children, spouses, neighbors, in-laws and outlaws. The problems range from prescription drug abuse to divorce, remarriage, interfaith engagements, and kicking the dog. This book is several layers deep, including emails, narration, and dialog, with each of the women taking turns sharing their news from celebrations to dilemmas. If you can get to a place where you care about the characters, it’s like reading the big, fat, juicy family newsletter you always wish you had. Even the odd swear word is bleeped out by curlicues and exclamation marks. And names – oh, if you like unusual names, just wait until you feast your eyes on the likes of Shoshana, Rhiannan, Juneau, Evvy, Willadene (or Deenie, she answers to both), Sahrita, Beto, Flower Telford, and Ira. It’s like a big Hollywood production, with a cast of thousands. This book is not the type I usually read. It was a bit too fast paced and multi-layered to sit on my favorites shelf, but maybe that’s because I didn’t read the earlier books in the series. It’s possible that one other reason it didn’t resonate deeply with me is that I don’t have any girlfriends as involved in my life as Deenie, Juneau, and Erin are in each others’. But then, I grew up in the middle of six sisters. As I turned page after page, I found that the cast of thousands didn’t always have faces I recognized. Yet I found myself pulled forward to see if I could catch the next thread in the life of Beto and Nicole, the star crossed lovers. And I was rather interested in the outcome of Dex (who I privately nicknamed “Dex, Tyrannosaurus Rex.”) Not everything wraps up with a perfect, pretty bow, which is life, and I like that about this book. I also like the hopeful ending. If you let yourself read along and sink into the lives of this amusing, insightful trio, they’ll wrap their loving arms around you and draw you into the story. Plus you have to like reading other people’s emails. Be sure to clear your calendar for nearly 400 pages full of drama and joy. Nancy: Thanks, Shirley, for taking us on this all-expense-paid trip to Tahiti. Lael: When I first saw “Mutiny,” it starred Clark Gable. I’d appreciate if you’d nudge me if he passes by -- unless, of course, he has Scarlett O’Hara with him. Shirley: Oh, you’d give her a run for her money. You all look so nice in your tropical wraps. I’m wrapping mine around my shoulders. Warding off sunburn, you know. Lael: I’m wrapping mine around my whole bod because I’m too old to sit around in a bikini. Oh, you say this isn’t a bikini? Well, I guess I’ve put on more weight than I thought. Shirley: Ahem. That’s why my wrap reaches my ankles. Let’s go sit at the table under this umbrella and stare at the ocean. I just watched a documentary on sharks, so this is close as I get. There. All settled? Anyone want something to drink, perhaps liquid refreshment served in a coconut shell or crab claw? Nancy: I think I’ll go for something softer with a little less bite. Carroll: I’ve known Nancy since she was a little dark-haired bundle—she and I are real sisters. 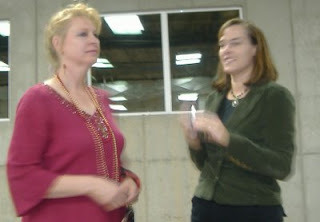 I met Lael, our almost sister, at a mutual friend’s home in Minnesota in the 80s, but the three of us didn’t get together until we attended Women’s Conference at BYU and ended up on the same shuttle bus. We offered to share the food in our cooler with Lael. The rest is history. Lael: I’ll always take a free lunch. Hint, hint. Shirley: How many books have you written together, including this one? Nancy: This series of three is our first joint effort, and we thought our last. 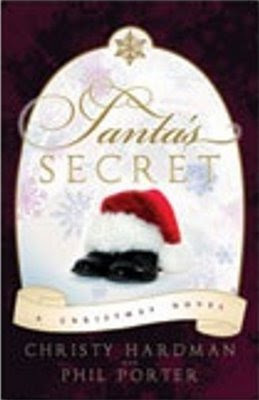 Until Lael started being haunted by a whole new set of characters that came in a set of three. Shirley: Well, writers can’t really stop those ideas from taking over their minds. Oh, here come our drinks. Look at the cute little umbrellas! They won’t keep us dry in a tropical storm, but at least they kept the bugs out of the drinks. Here goes… ouch! Oh. Take out the little umbrella first or it might get up your nose. I’m really curious how you decided on your character names. Did you toss a dictionary in a blender and draw out scraps of paper to see what they spelled? Some of those monikers are jim-dandies. Carroll: Nancy and Lael are the wizards in that regard. Go for it, girls. Lael: Apparently you’ve never lived in a small Idaho Mormon town, Shirley. If you had, you wouldn’t think they were so strange. Nancy: Or in the South. I have a daughter in Georgia. When we visit there, I’ve kept a list of the unusual names I’ve heard. That got me interested in researching historic names from the history of the southern states. What a fun read aloud those lists were. That’s where most of the names for Florida characters came from. To be fair, some of our less inspired names must seem weird to the folks down South. Shirley: Okay, I’ll admit it, Shirley’s a weird name, too. Lael: We had a Stake President named Shirley Palmer in Idaho when I was in high school. And no, we weren’t giving women the priesthood. Shirley was a guy. Shirley: There are so many interwoven threads in your book. How do you keep them from tangling? Lael: I’m not sure we did keep them from tangling. Carroll: I’m not sure we even wanted to! With the characters being so close for over twenty-five years, it was inevitable that the threads of lives would intertwine. The important thing was to knot off those threads in a way that held the whole together. Nancy: I thought they wove themselves together in the most unexpected way. Sometimes we wrote parallel story lines without realizing it. They often went together like puzzle pieces when we started combining them. Shirley: Well, I admire your ability to write together. It’s really quite a good idea. You each write a third of the book, and when it comes out, you’re pleasantly surprised at how thick it is! Carroll: Actually, we were surprised at how thin the book is. Each of us had written enough material for a book—and DB gave us a word limit of 114,000! So, many full scenes shrank down to vignettes and other scenes and minor characters disappeared completely. Lael: It came from a character named Gabby Farnsworth in the first book. Her grandson is angry at her and calls her a crazy old broad. She later tells the three women who are staying with her that “I don’t object to the ‘old broad’ part. There’s something of longevity and strength in those words. It’s the choice of adjectives that I don’t like.” Juneau suggests crusty as a replacement for crazy, and the anagram COB was born. And to join the club, you have to deal with whatever life brings you, then pull up your socks and move forward. Shirley: Hm. I’ll have to change out of my flip flops. Well, well. Look over there, ladies, there’s a tall and tan and young and handsome guy walking along the beach. Do you think it’s…? No, it can’t be. But it is! No, Lael, sit down and quit waving your swim wrap like a flag. It’s not Clark Gable. It’s the guy from Ipanema! I’ve always wanted to meet him, but he just doesn’t see. Maybe it would make a difference if he’d take off those dark sunglasses. I’m going to see if he wants to samba. You ladies go right ahead and work on your tans and your next fun writing project. Do you have any more triple author delights in the blender? Nancy: You never can tell what will come when characters start showing up in triplets like those nibbling at Lael’s thoughts. For now the working answer is yes, but no more series. Right ladies? Shirley: Well, it will be fun to see what you come up with next. Thanks for meeting me here today. Have a great vacation. Oh, I heard they’re providing return trip rowboats to offset high gas prices. But look at it this way: each of you will only be rowing one third of the time. Lael: I knew there was a catch to this all-expense-paid deal. And watch out for that Ipanema dude. He looks like a slicker to me. "Enjoying the Journey," with flip flops in a 5-star restarant! With humor and gentle insight, the authors take on the meaty subject of life, season it with anecdotes, and garnish it with scripture, making it easy for the reader to digest. They cover timely topics for today’s world, from overcoming depression and despair to the importance of family. My heart lifted to read the reassuring words that we will recognize God when we see him. It’s just that for now, we’ve simply forgotten his face. I learned that I don’t want to be a whiny child in God’s eyes. Okay, I’ll admit it; I’ve been depressed in my life. But Theler’s and Talmadge’s words made me truly believe that we are Father’s BELOVED sons and daughters. Riding on the waves of the friendly, conversational writing style, I could read the phrase, “Knowledge of our eternal identity is a potent antidepressant” with a chuckle instead of a gag reflex. I also renewed friendship with the Holy Ghost when the authors reminded me that He can replace anger, anxiety, and despair with love, faith, and joy. Now that, I can live with. While some people would count this the best part, in my Primary-geared mind, there’s a spot or two where a pack of scripture quotes got a little lengthy for me, like a little too much garlic in the sauce. Yet every scripture pertained to the subject, and it only matters if you’re not terribly fond of garlic, because overall the book had an amazing blend of personal stories, quotes, scripture and text that made it delicious to my soul. And for those of us who do best with paint-by-numbers, there are helpful lists of simple steps to take toward your goal at the end of each chapter. Bless you for a summary I can wrap my brain around. After reading this pivotal book, I feel like saying better prayers. I’m encouraged to exercise greater faith, and I’m not ashamed to admit that Chapter 10 had me in tears. This book offers encouragement without the guilt and insights without the confusion. So pull up a chair, tuck in your napkin, and get ready to read to your soul’s content. Shirley: Ooo, it smells so good in here. I don’t think I’ve ever been to a 5-star restaurant. The neon star on the local “Brite Spot” eatery is missing one of its points. Where’s your favorite place to eat? Jaime - The last year or so I’ve been leaning toward Mexican food, but I go in phases. Next year will probably be Italian or Chinese. Last summer we found a Mexican restaurant on a family vacation to southern California that I still dream about. It was so good that we contemplated making an hour detour on our 10 hour drive home from Disneyland last fall, until we decided that no chimichanga was worth two more hours in the car. Around here, I’m really fond of Café Rio. (Looking around self-consciously) I haven’t been to many 5-star restaurants. Perhaps I should have worn something nicer than flip flops. Deborah – I’m a Wendy’s kind of gal. Huge hamburgers are the best. My parents owned a drive-in, so I grew up on the stuff; shakes, fries, hotdogs, hamburgers, onion rings, ice cream. My very favorite though, are a couple of places in Italy, one in Urbino and one in Stressa. Real Italian lasagna is so much better than anything you can get in the United States. No meat and dripping with lots of yummy cheese. Deborah: You know, the first time I ever heard about writers using napkins to jot their notes on was in the book Turn Not Pale Beloved Snail, by Jacqueline Jackson. And that was in 1976. So you might say Rowling stole the idea. Sort of. Albert Speer wrote on toilet paper while in Spandau. You know whatever works… This chef’s salad looks good. Jaime – Sorry, back to your question. The idea for “Enjoying the Journey” had actually been bouncing around in my head for years. 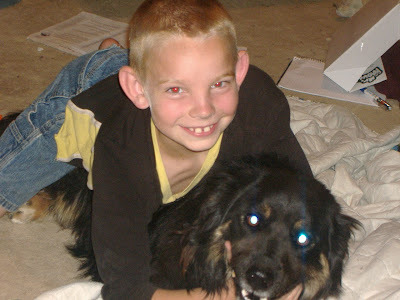 It began at a time when I was feeling awkward, lonely, and struggling to figure out life with three demanding children. I listened to a talk by Sheri Dew where she said, “No woman is more persuasive, no woman has greater influence for good, no woman is a more vibrant instrument in the hands of the Lord than a woman of God who is thrilled to be who she is.” Those words really hit me, and I thought, “I want to be thrilled to be who I am!” I wanted to shine with joy like others I have known. The tricky part was how to do that. 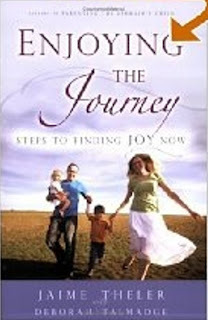 So “Enjoying the Journey” was something I had to write for myself, to find my own answers. I just hoped there were others out there in the same boat. My mom assured me that there were, and she became my sounding board. Deborah - I often sit on the stand in sacrament meeting because I’ve been the Ward Chorister and other times have substituted. I watched the expressions on everyone’s faces and very few ever looked like they were glad to be there. Most of them had this clenched, “I’m here because I’m supposed to be, and I’m going to stick it out if it’s the last thing I ever do” look. I wondered if they had permission to leave if they would. And gladly. Then one time a new Bishopric counselor thought it would be a good idea to cancel classes because it was Easter. The building was empty in only fifteen minutes. A few stayed because they weren’t sure it was all right to cancel. When Jaime told me about her idea, I thought it was a great one. I know I have struggled with being happy about all the things we are supposed to do. I have felt more pressure than joy in being a member of the Church for a good part of my life. Shirley: How many books have you written so far? Jaime - We have written two books together, our first book, “Parenting the Ephraim’s Child” and “Enjoying the Journey.” “Parenting the Ephraim’s Child” was another book I needed for myself, that just happens to help others too. Shirley: Hey, look at this, pate de foie gras. That sounds good. Jaime: Uh, Shirley, that’s goose liver. Shirley: (Pulling pressed linen napkin folded like a swan to her face to hide the look of horror.) Maybe I’ll have the escargot instead. Deborah: Do you like snails? Shirley: I’ve never become personally acquainted with one. Deborah: No, to eat. Escargot are cooked snails. Shirley: What? Can’t they afford to serve anything in this place besides goose guts and garden pests? Deborah: I took a survival course once, and had to eat snails. We were required to eat everything given to us or we would be kicked out. It was like eating an eraser. I don’t know if American snails qualifies for Escargot though. Shirley: (Mops forehead with napkin.) Maybe I’ll just order a hamburger. How do you say that in French? Haum-bair-gair? Hey, have either of you ever been depressed? 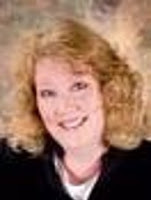 Jaime - I am generally optimistic, but just before writing “Enjoying the Journey” I had a period of time where I felt really down. I don’t know if I’d classify it as a depression, but definitely an extended low point in my life. Deborah: I have battled with depression off and on for a long time. Shirley: It feels like you have the knack of reaching through the pages with a warm, helping hand. Do either of you have a degree in counseling? Jaime – Not really. (laughs) I actually graduated from college in Physical Therapy. I guess you are sort of a counselor in that field. I just try to see things from another’s point of view, and treat others like we’re in the same boat. We’re all brothers and sisters, after all, and we should help and lift each other. Deborah - I don’t have any counseling experience either. I double majored in Piano Performance and Geology. Rock music. 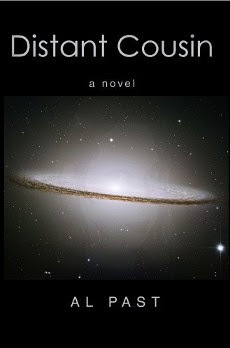 Have you ever read “Crystal Singer?” One of my favorites. The hills are alive with the sound, and all that. Shirley: Let’s move on to dessert. (Narrowing suspicious eyes at the menu.) What’s Glace? Jaime and Deborah: That’s ice cream. Shirley: That’s perfect! But how did you say that at the same time? You sounded like echoes of each other! Deborah: Death by Chocolate looks good. Shirley: How do the two of you work to write a book together? Jaime – We love email! Unlimited long distance helps a whole lot too. We talk over ideas, and then send chapters back and forth to each other until we get it right. It works a lot better than you might think, and it’s fun to have someone else to discuss all the little things with. Sometimes as authors you are so wrapped up in your project that you forget others don’t want to hammer out all the details. My husband gets this glazed look in his eyes sometimes. Deborah: But Jason is really a great editor. He’s grueling. If he didn’t understand what we tried to say then we knew it had to be reworked. Driving around to book signings was fun too. We really could get into discussions. Shirley: What’s your next writing project? Jaime – We’re actually going separate ways for our next projects. (reaches out to hug Mom) Not because we don’t want to write together, but we both have stories in our heads that need to get out. I wanted to take a little break from non-fiction, but there are more of those ideas that I will probably write as well. Deborah - She’s actually pretty good at fiction. Jaime: At least I didn’t spill it all down the front of me this time. I should probably pack a bib. Shirley: The publisher is footing the bill, right? I suppose we ought to leave a tip, even though you can’t read the menu in plain English. (Reaches in bag, pulls out “Enjoying the Journey,” and lays it on the table.) There they go. Food for their souls. (Stands up.) Okay, Jaime, leave the enamel on, the green stuff’s gone. (Starts for door, then turns to Jaime and Deborah) Hey, I know! Next time let’s eat at the “Cow Palace Lanes.” Yes, we should. They deodorize the bowling shoes before they stick them under the counter beside the dining area, and believe it or not, they serve killer-good fried onions. Just be sure to wipe your fingers before you roll a bowling ball. Jaime: Sounds like a place with the menu in English. It might have bibs, too. Although, I don’t know about the bowling. I went a few weeks ago and my score was really bad. Like, under 65 bad. Deborah: My best bowling score was 83. And I got the trophy for best improvement. That was thirty years ago. Jaime: Maybe we just better stick to writing, huh? Thanks so much for meeting with us Shirley!